Maximum Performance – The keys to personal and business success. learn how to develop complete clarity about your goals and objectives, and how to accomplish more, faster in every part of your life. October 8th 2012 – Brian Tracy, one of America’s leading authorities on the development of human potential and personal effectiveness spoke in front of more than 180 audiences in a seminar held in Radisson Blu hotel Kuwait The seminar was organised by Vigor-Events, ALGAS events(co-organizer) and Gulf Lead Consultants(Event Partner). The seminar aim was to deliver the keys to make more money and accomplish more results in a shorter time than many people achieve in five or ten years. The ideas discussed can be used for the most successful individuals and teams in every size and type of business organisation. 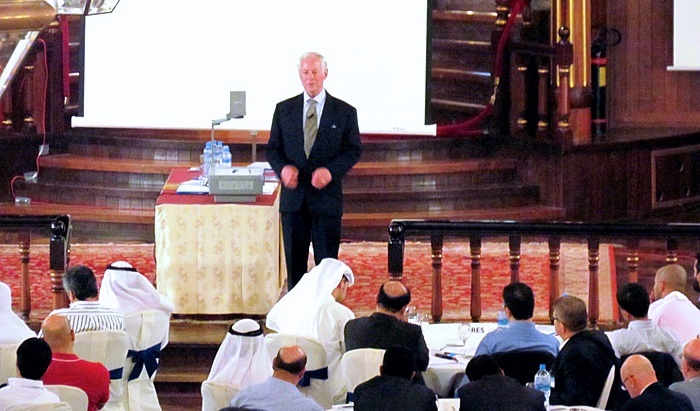 The methods and techniques used by the top executives of the most successful companies worldwide have been analysed at the seminar.